“Interest in the use of GM animals for human consumption is mounting, and currently the U.S. Food and Drug Administration is evaluating the environmental risk of GM salmon produced by AquaBounty Technologies for aquaculture production,” said Dr. Westley. 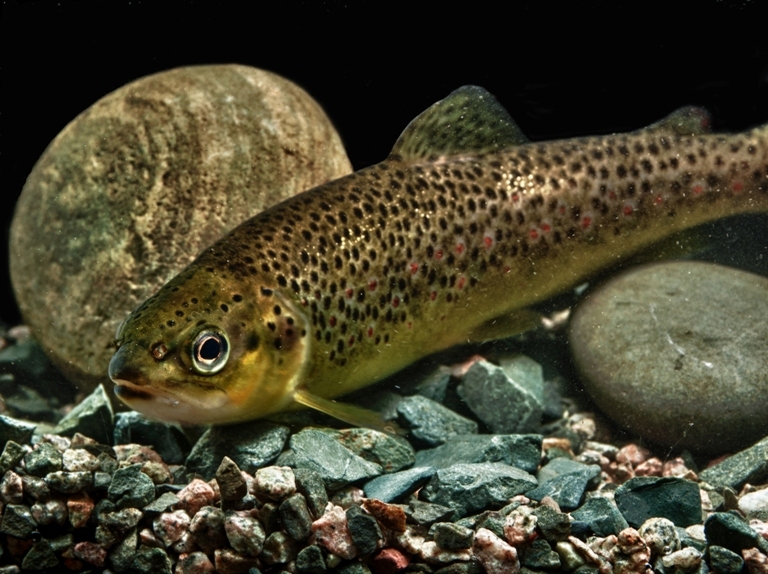 The researchers successfully interbred GM salmon with wild brown trout, two naturally hybridizing species, and saw the offspring indeed carried the modified gene. Dr. Westley adds that the results provide empirical evidence of the successful first steps towards incorporation of foreign genes into the genomes of new species. “Although we think it's highly unlikely, if GM hybrids are then able to breed with a brown trout, the foreign growth gene could potentially jump between species via hybridization,” he said. “Broadly speaking, our study shows that hybridization between species is a potential route for new environmental impacts and novel avenues for interactions between GM animals and wild counterparts, though even the likelihood of significant ecological effects due to hybridization will be low given rates of hybridization in nature. Things may be increased slightly through escapes of domesticated farmed fish.